Nintendo is not happy with its online gaming offerings, with company president Satoru Iwata admitting that he is not satisfied with the console giant's efforts. Iwata somewhat sensibly admits that he feels resources should not only be poured into online gaming, with a focus on single and local multiplayer at the heart of Nintendo's ethos. 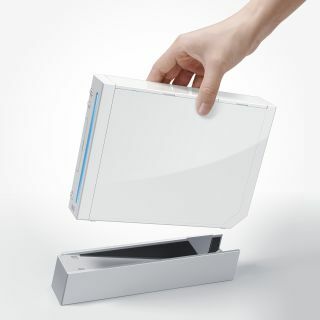 But the Nintendo man is keen to make the Wii and DS platforms friendlier to those who want to play games over an internet connection. "Of course, I have heard commentary that people feel that Nintendo's online functionality is behind the others or is lacking in some ways," said Iwata. "And I can say that we are not currently satisfied with the online efforts that we have made so far. "We are working at ways to improve those." "Going forward, what we will continue to do is to evaluate the individual products and experience that we're creating on a product-by-product basis, and make a decision as to whether or not it's more important to devote resources to making that offline experience more fun and compelling for products where that is going to be the most important element of the game play," added Iwata. "And then for products where it is going to be more important, to add online functionality and make that online functionality robust and compelling." With the likes of PlayStation Move and Microsoft Xbox 360 Kinect arriving this year, it is clear that Nintendo cannot rest on its laurels.